Though dolphins are commonly known to the public as being friendly, social, playful animals, there are a variety of details that aren’t as widely known. Dolphins are part of the order Cetacea, a group of mammals which includes dolphins, porpoises, and whales. These are classified as carnivorous (meat-eating) organisms that typically prefer colder water environments. There are currently 36 species of dolphins identified, including 4 species of river dolphins. Of these 36 species, approximately 14 are believed to be endangered and 1 is thought to be extinct. A few of these species are highlighted below to answer the question, "Are dolphins endangered?" Though this freshwater dolphin species has not been officially listed as extinct, it has not been encountered since 2002. The delay in officially labeling this species as extinct is due to the years of study and observation required to ensure there are truly no individuals left. Sometimes, a species may appear to be extinct due to their extremely small population which makes them unlikely to be encountered for long periods of time. Sadly, the reasons for this species’ endangerment or extinction are all man-made. Most of the deaths have been due to indiscriminate fishing (e.g., bycatch), which has caught and killed many individuals. Death has also been caused by injuries inflicted by fishing hooks, fishing nets, and collisions with propellers and other boat machinery. The Maui Dolphin, or Hector’s dolphins, is a rare marine breed found off the coast of New Zealand. It is smaller than most dolphins and therefore particularly susceptible to fishing-related deaths. Currently, there are believed to be less than 100 individuals of this species left on earth. Maui Dolphins are slow breeders, meaning they typically only produce enough offspring to take the place of those that have died. In addition, females don’t reach reproductive maturity until they’re between 6-7 years old. These facts mean the Maui Dolphin struggles to recover their population numbers sufficiently to be removed from the endangered species list. Though this may be a cause of their long recovery, it is not the root cause of their endangerment. This too, is man-made. Becoming the accidental catch of fishing enterprises through trawling methods or being caught in gill nets are the greatest reasons for their status. 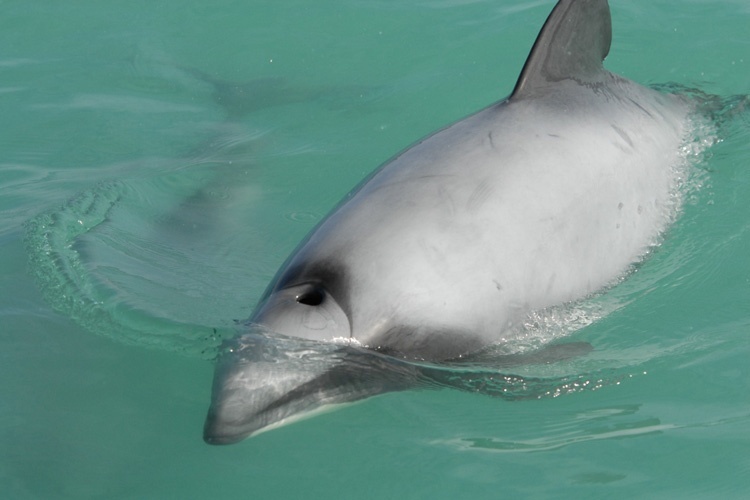 Though New Zealand has taken proactive measures to prevent these deaths, the Maui Dolphin’s numbers continue to decline. 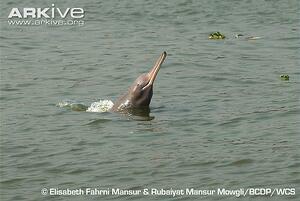 This is another freshwater dolphin species that lives in the rivers of India, Nepal, and Bangladesh. 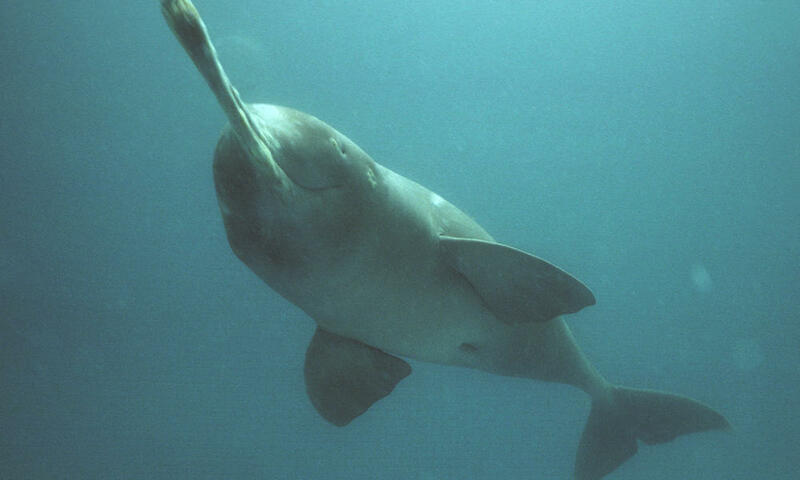 The Ganges River dolphin is classified by a very long, thin rostrum (similar to the Yangtze River Dolphin), which is one of its most distinguishing characteristics. It also lacks a lens on its eyes, which has led to it being called the “Blind Dolphin”. It is believed there are less than 2,000 individuals remaining. Separation of the dolphin population due to river obstructions. Though the Wildlife Protection Act of India requires that the Ganges River Dolphin be protected, little has been done to ensure this actually takes place. Found in the waters off the Mediterranean, this dolphin is a colorful species with patterns consisting of yellow, white, gray, and black. They tend to stay in large social groupings and are a playful mammal that is often found riding bow waves of ships. Though once far more common in the Mediterranean waters, as the name suggests, the Short-Beaked Common Dolphin is now considered endangered with greatly declining numbers. The reasons for this decline, like the ones above, are man-made and include becoming the accidental prey of fishing, fishing-related injuries, pollution, and human encroachment on habitat. 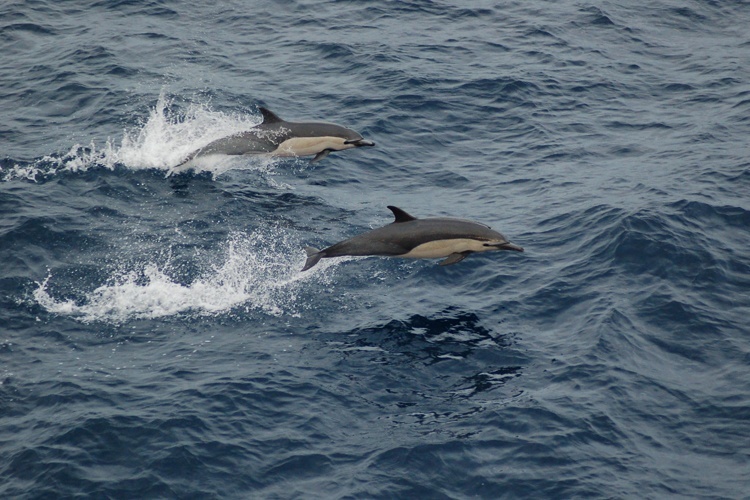 Short-Beaked Common Dolphin populations have been dropping steadily since the 1960’s and though efforts have been taken to protect the species, they have not kept it off the endangered species list. Pollution, over fishing, fishing injuries, habitat destruction, and injuries from boating equipment all play a large role in damaging dolphin populations. 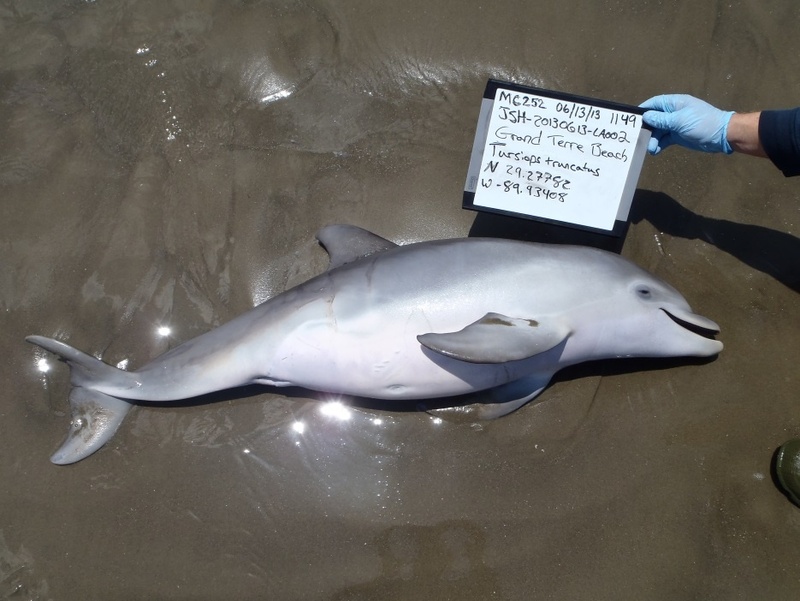 For example, recent research has shown that oil pollution from the Deepwater Horizon spill of 2010 has negatively affected the reproductive health of the Gulf of Mexico Bottlenose Dolphin. In the years since the spill, the number of dead prenatal and juvenile dolphins born in the affected areas has spiked. Experts have concluded these young dolphins were likely indirect victims of the pollution poisoning suffered by their mothers. Becoming more responsible with waste to decrease pollution. Choosing more environmentally-friendly vehicles to decrease carbon emissions and reduce global warming. Actively recycling to assist with overall environmental impact and in general less waste. Becoming more active with private and government conservation efforts to help cut back on dangerous and illegal fishing activities and replace them with dolphin-safe methods. While it may be too late to save dolphin species like the Yangtze River Dolphin, we can all do our part to help prevent other species from sharing its fate.